Continuing the series of profiles about women in my art group, here I wanted to share the gorgeous late summer garden of Phoebe Porteous. Phoebe is a wonderful painter whose work sells often before it is even off the easel. Last year one of her works was the cover piece for the L.L. 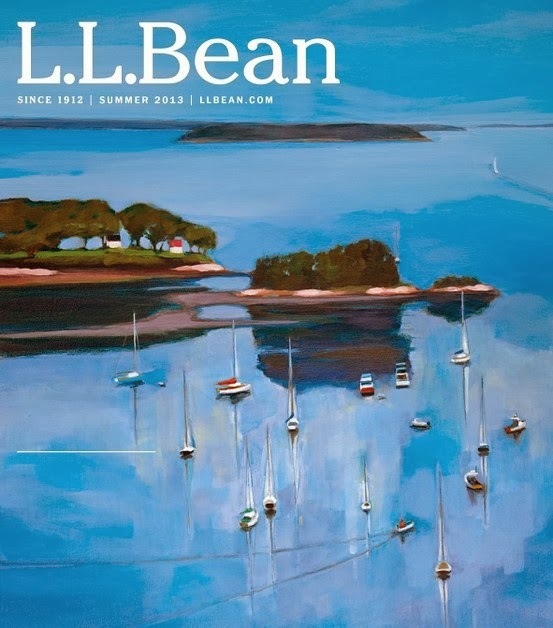 Bean Summer 2013 catalog and she was a featured artist in the November 2010 issue of Coastal Living. But this is where I rave about her garden. I asked if I could take pictures this year of her garden as I remembered from a meeting in August last year how miraculous it is. When everyone elses (mine) looks tired and dry, her backyard oasis blooms in abundant fervor. Small but expertly thought out, Phlox davidii and Rudebeckia hirta bloom tall. Gallardia and an unusual Penstemon ("Ruby") catch your eye. Her mix of foliage is what I suspect keeps it all smart all season though, such as her two Daphne's that creeping along the edge of the patio and her Chocolate Joe Pye Weed. 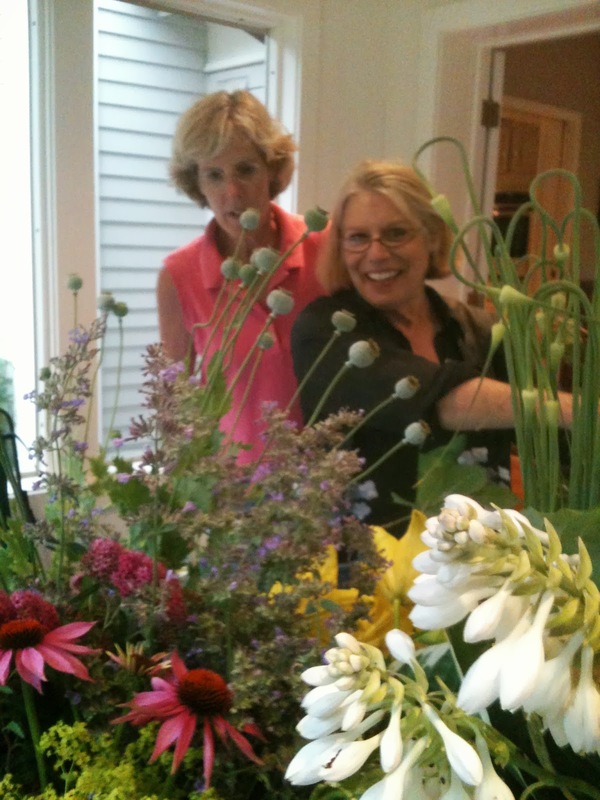 That Joe Pye Weed was the secret to every arrangement we made early in the summer for a friend's sons engagement party. Looking down on the patio from the walkway above, you see the great way the patio incorporates the granite block she found on a rock hunting trip with her friend Mary Ruth Hedstrom. Though from this angle the rock looks cut in half, in fact it is not and was offered a ridiculously low price because it wasn't perfect! From this perspective I see the genius of the small and well defined spaces, the careful placement of plant matter, stone and furniture. Always uplifting and also, the iced tea is fantastic! Barn renovation starts this week!